HI! 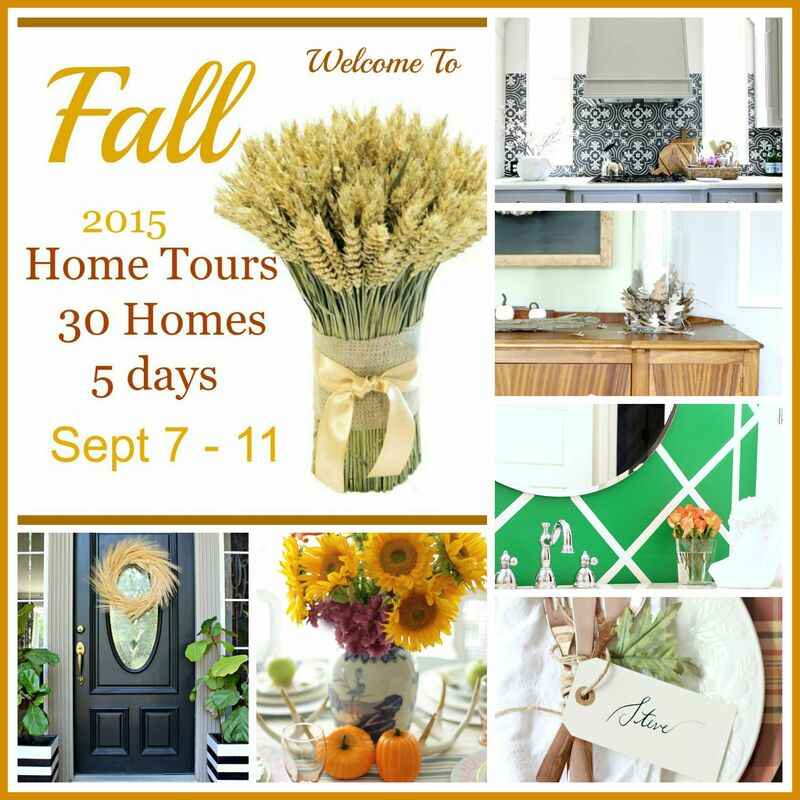 So glad that you’ve found your way here to our Fall Home Tour! If you’re here from Jenna’s beautiful tour at Rain on a Tin Roof, welcome!! Feel like we’ve met before, but you’re not quite sure? No worries, let me explain! I’m Mallory and blogged at Charming in Charlotte for about 2 years. 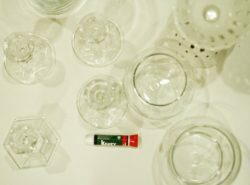 I recently made the switch over to Style Your Senses, and am having so much fun over here! If we haven’t met before at all (sad face), read more about me and my vision for this little space HERE. 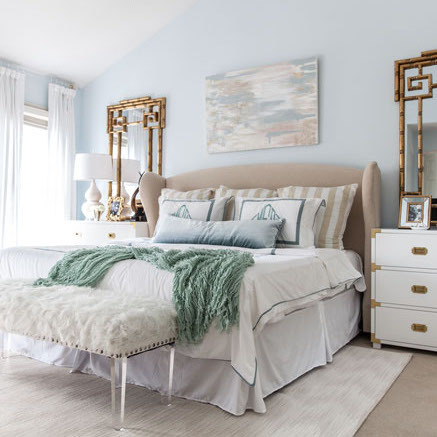 Now, let’s talk Home Tour! 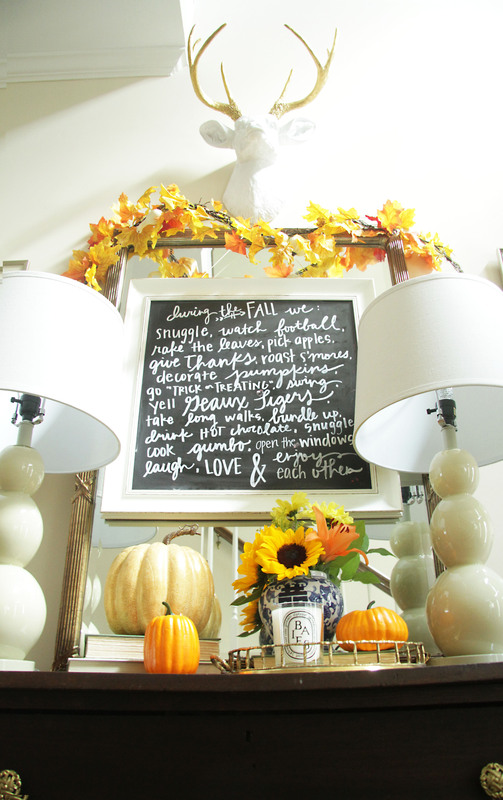 Marty from A Stroll Thru Life was sweet enough to put together a fabulous group of bloggers to show off their transitional Fall Decor and I’m so thrilled to be included. To be honest, we aren’t in full Fall mode yet, but as we wait for the temps to cool down, I was happy to begin to transition our house from breezy to more cozy. I really didn’t have to spend much at all and was able to really make a difference in the spaces that matter to our family. 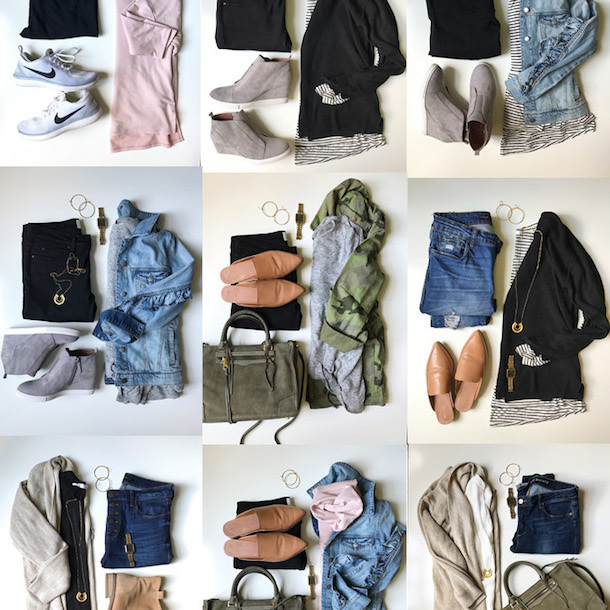 It’s funny, because I have definitely toned down my Fall color scheme from a very jewel-tone base to a more natural and rustic feel. See last years Fall Tour HERE. If you went back to look at last year’s tour, you’ll notice that this chalkboard sign was untouched from last year to now and that’s because I love it and couldn’t bear changing it! To us, these things are what Fall’s all about! 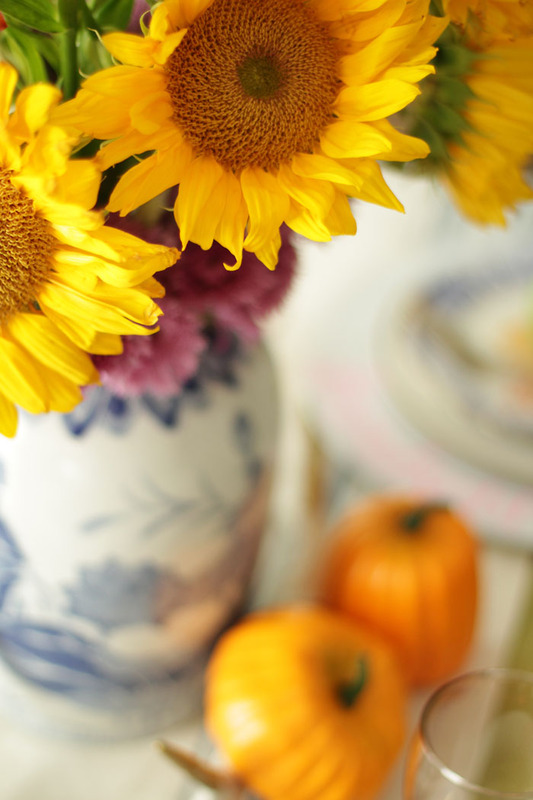 I’m usually not a fan of sunflowers for whatever reason, but this season I’m feeling a change of heart. 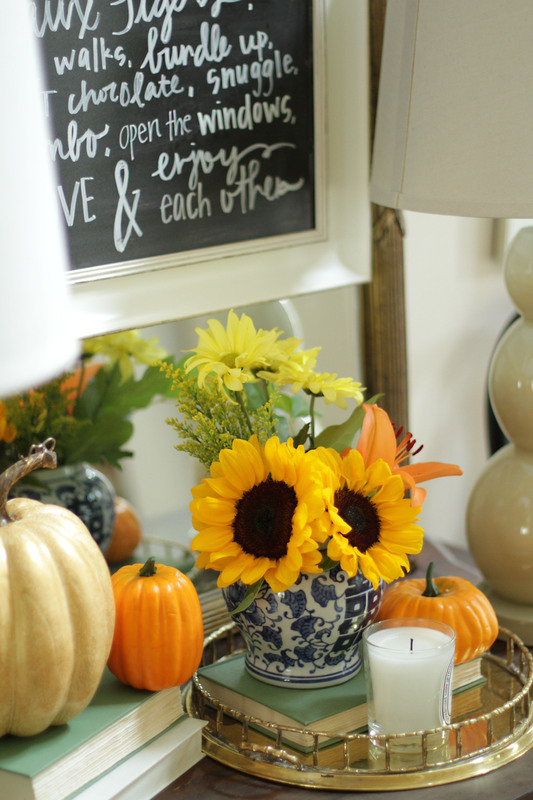 Their bright burst of yellow is so fun with Fall decor. 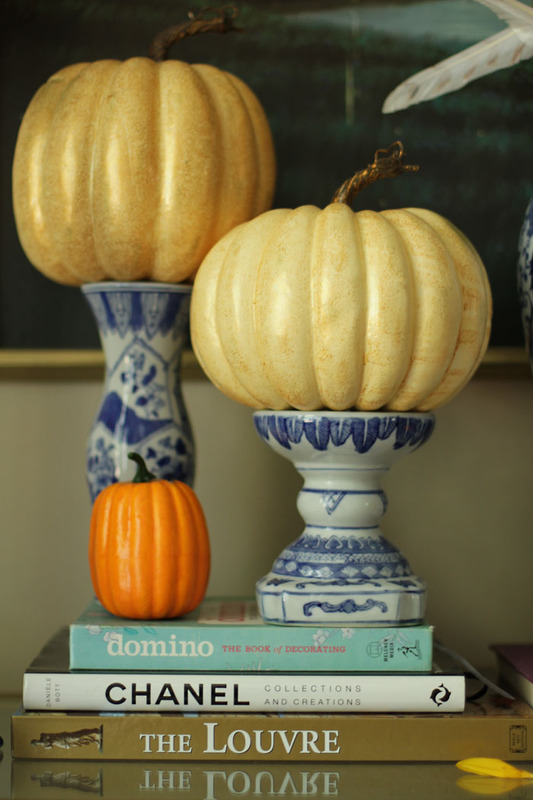 Using these candle holders to display pumpkins gave the vignette some height and was also an unexpected twist. We have a “snack station” in our house at all times and I love to change it out seasonally. For Fall I always have s’mores out and frequently change up the toppings. That way they are easy to assemble and we take them out on the deck on a cool Fall night to roast over the fire pit. 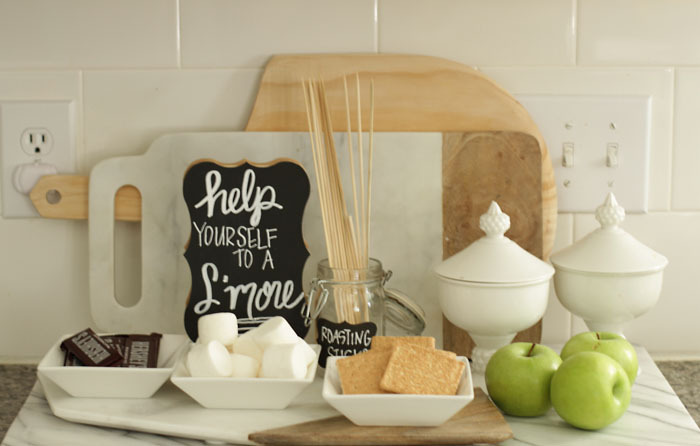 Want to see more, check out THIS POST for more Fall Snack Station inspiration. 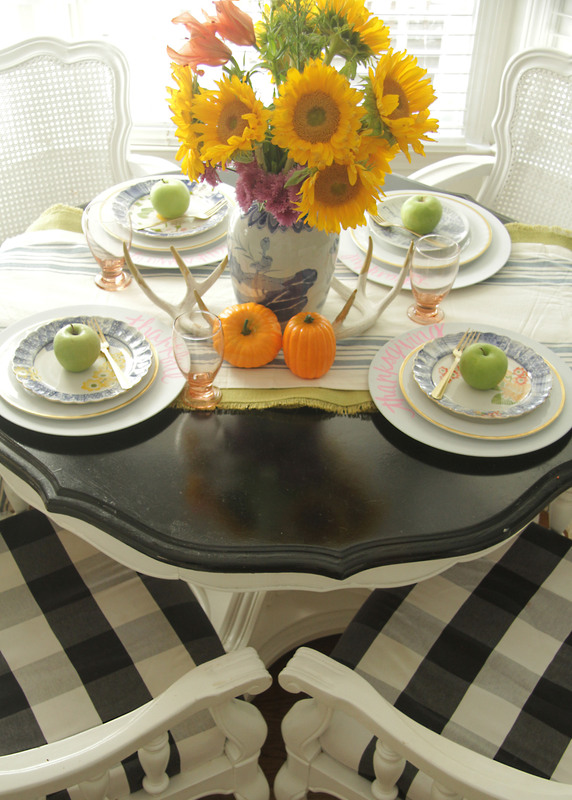 I kept our breakfast table scape pretty simple, but added a few whimsy details to make it more fun. 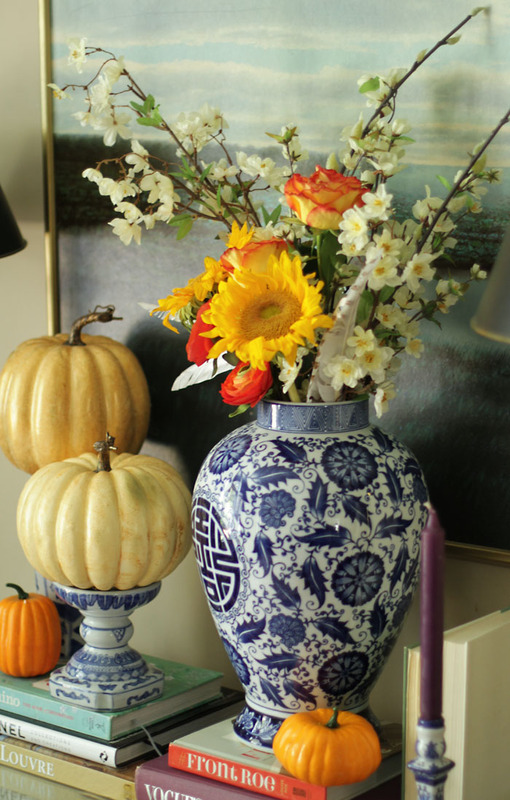 I love the idea of mixing things up by using a very traditional ginger jar to house a fall bouquet and also played with natural elements such as the burlap runner and apple topper to give it a little bit of a rustic feel. So, what did you guys think? Are you ready to go all Pumpkin Spice Latte full force into Fall or will you wait until the weather cools off to dive in head first? 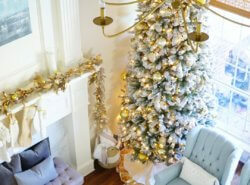 Can’t wait to hear what you’re looking forward to and how you make your homes more cozy when the seasons change. Now for a real treat, you’re headed over to Cassie @ Hi Surgaplum! 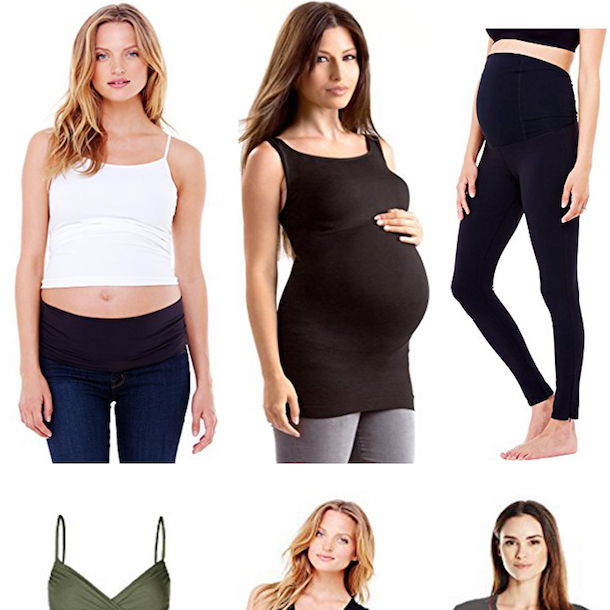 This girl does it all (I mean she was on the cover of Redbook Magazine last month for crying out loud!!!!) and does it with a colorful and bright style that I adore. 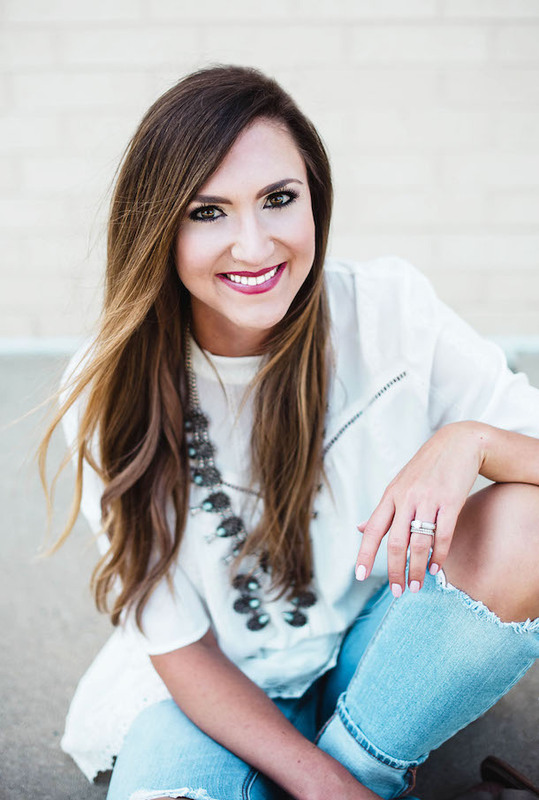 Make sure you head over to check out her Fall Tour and while you’re there don’t forget to see her recent kitchen reveal! #thankmelater! 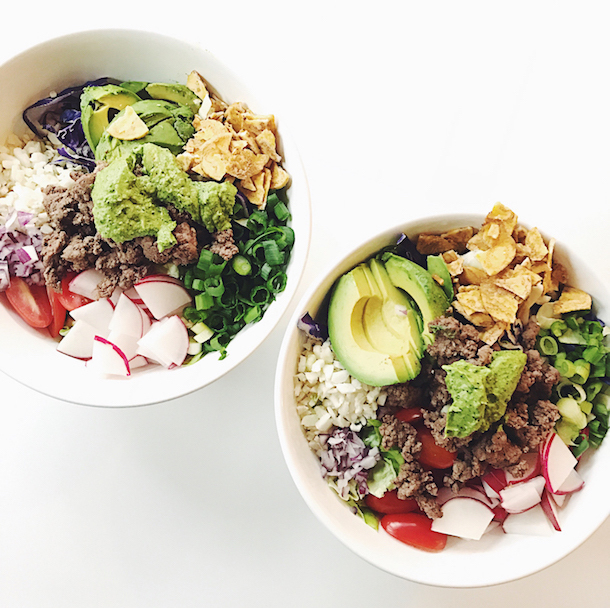 It looks SO good friend! Love it! Beautiful! 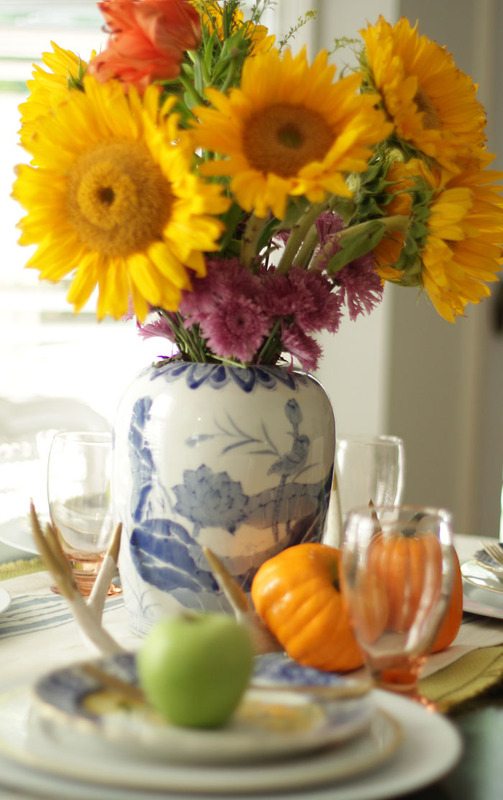 Love your touches of Fall! I know what you mean about it being hard to transition to Fall with the temps still so high! Here in NY it’s been in the mid nineties this week….so unusual for this time year! Your photography skills are amazing and you pictures are all fabulous. 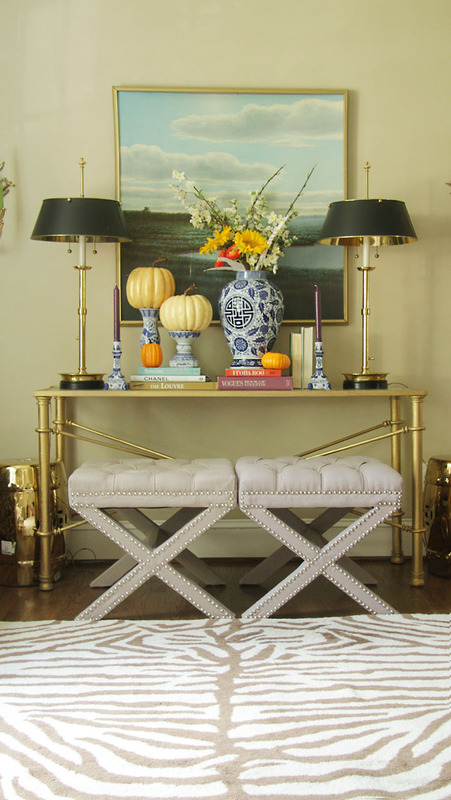 I love your vignettes and especially the one with those fabulous benches and console. Beautiful tour. I’m coming over for smores! At our pace I’ll need to carve out a few DAYS, so consider that done!!! miss you! 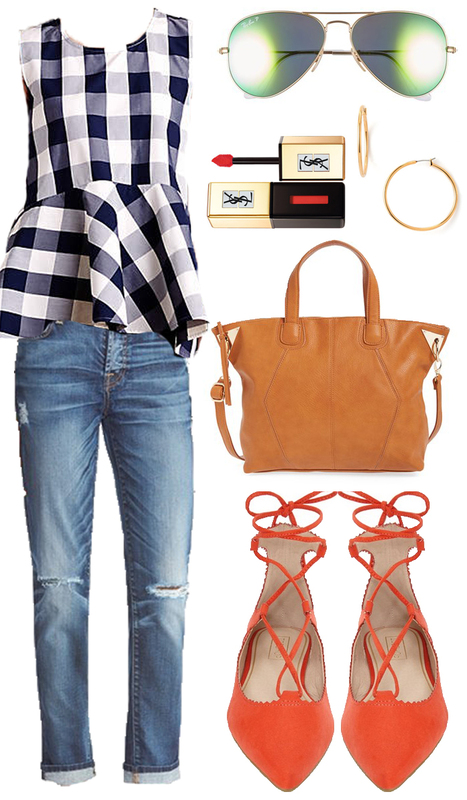 Well styled and still totally charming! 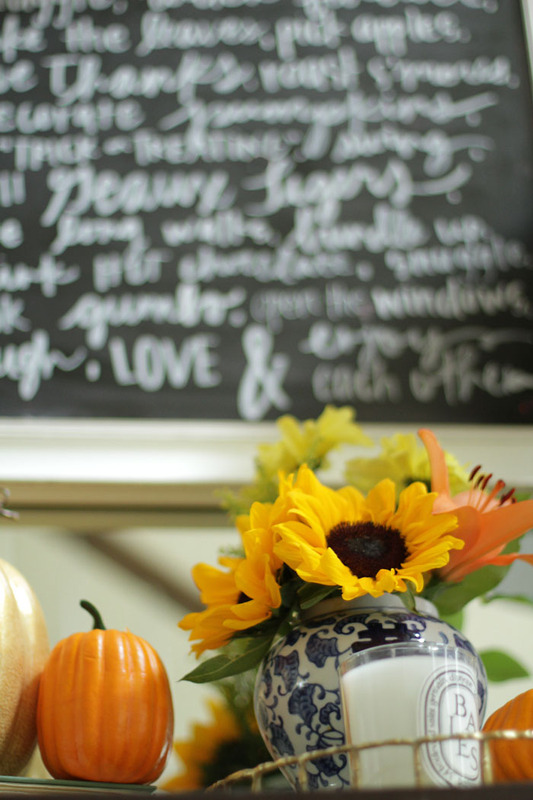 Crazy over your chalkboard and all the sunflowers! 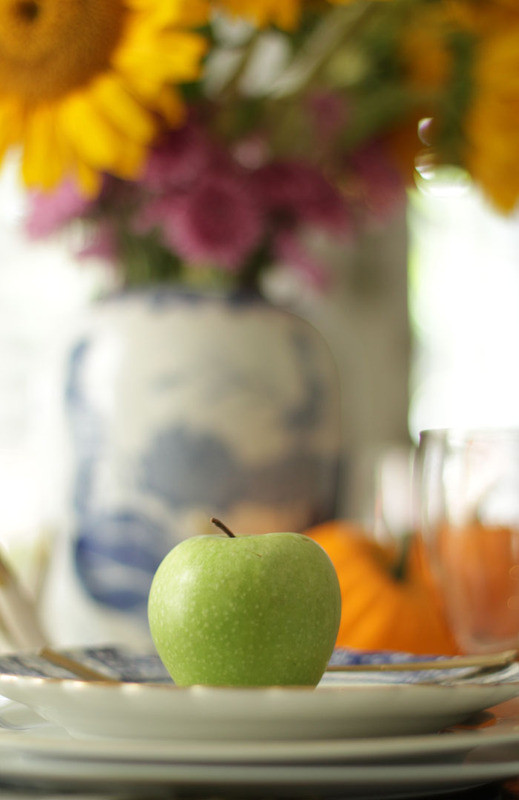 Sunflowers, smores, apples… Simply beautiful and the most natural way to bring fall into your home. 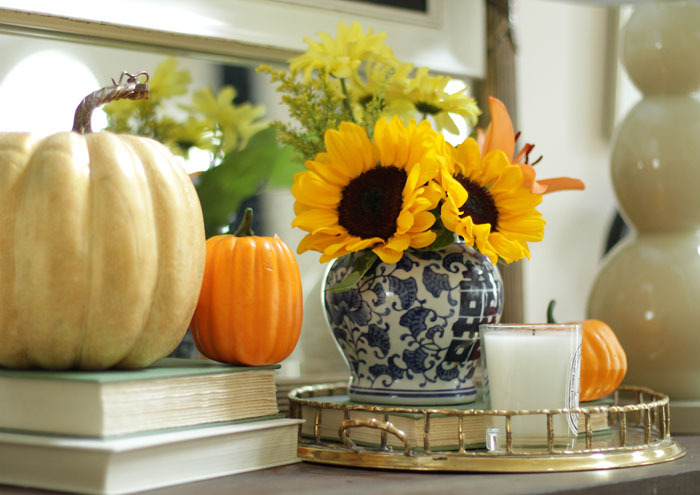 Beautiful styling Mallory, such a pretty take on fall! I’m loving your new look, it’s absolutely gorgeous, too! I am stopping by on the home tour and your home is just so pretty! 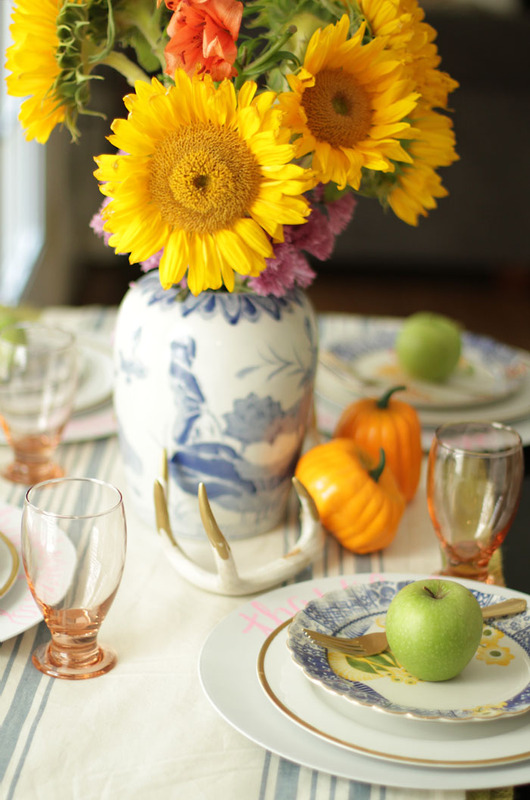 I really love your first vignette with the sunflowers… so pretty! 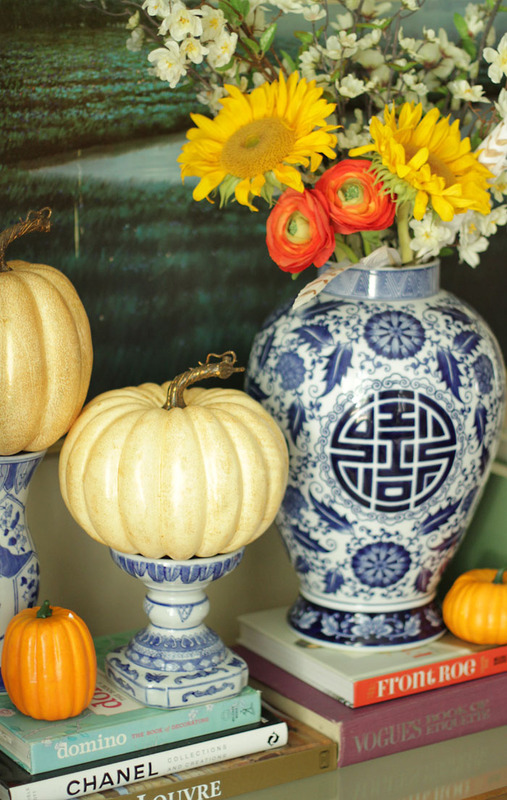 And I like how those pumpkins pop next to the blue vases you have! Beautiful!! 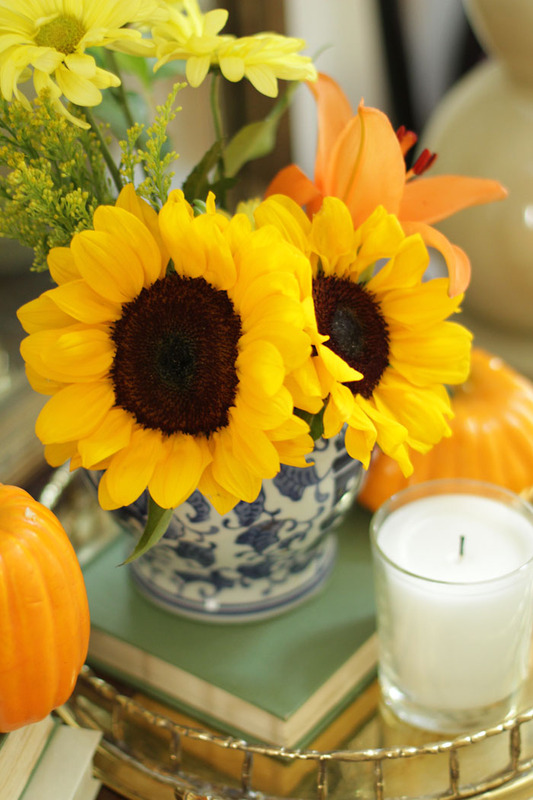 You know that I’m feeling it with the sunflowers this year too – love your beyond-gorgeous arrangements! 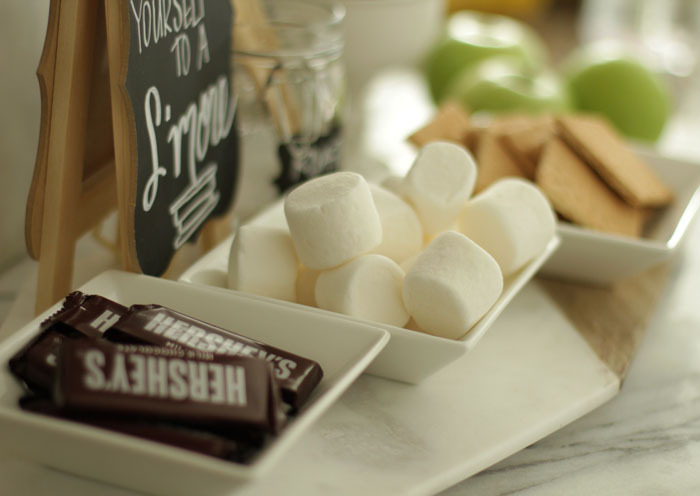 And oh my gosh, that S’mores bar? My kids would be beyond excited to have that show up in our kitchen! Love it all Mallory! 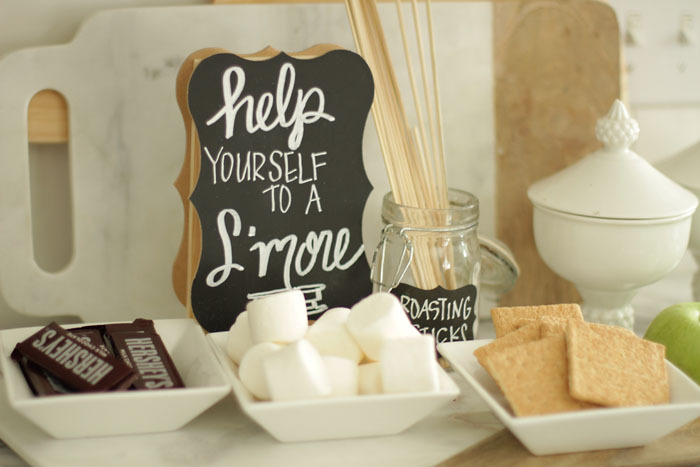 I’ve got to remember to do a s’mores station this year! Bring those cute babes over for a s’more asap!!!! 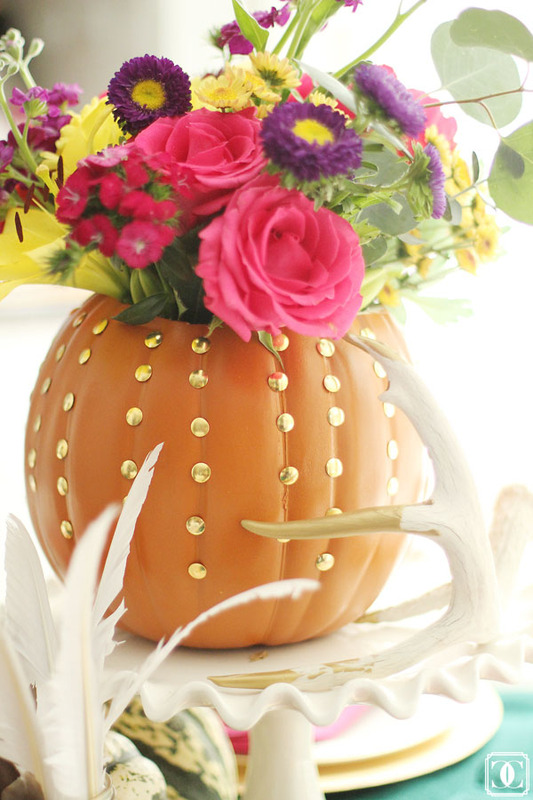 Really pretty and festive, Mallory! Thanks girl! Can’t wait to see you! 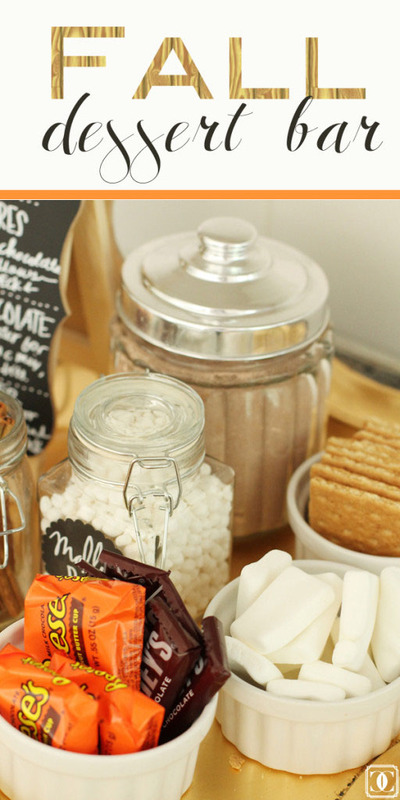 Love your fall dessert bar! 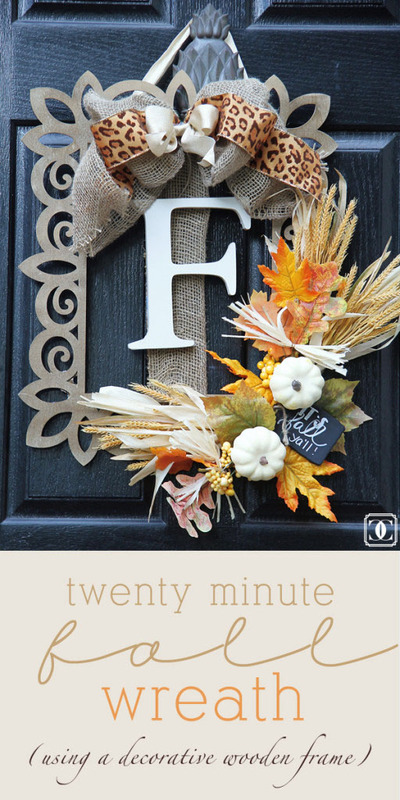 And it’s a fresh breath of air seeing traditional fall colors in your home! I love the flowers. 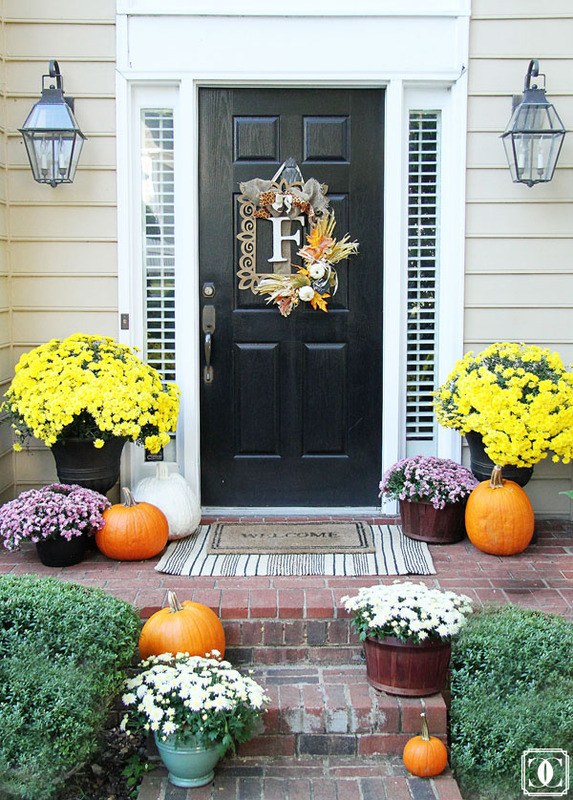 Your house is beautiful with the perfect touches of fall!